I’ve always loved films which are set upon the high seas. There’s an ever-present danger and unpredictability to the ocean which adds weight to the drama and reminds us of how small we are in comparison to the vast foreboding landscape. 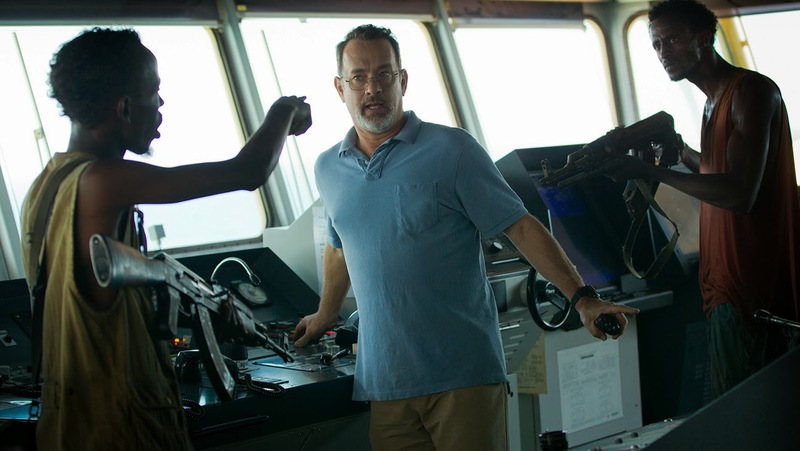 With that in mind, Captain Phillips is a perfectly-executed tension-filled tort hostage film. Directed by Paul Greengrass (United 93, The Bourne Supremacy and The Bourne Ultimatum) the film is based upon the 2008 kidnapping of American Captain Richard Phillips by Somali Pirates. I was concerned that knowing the outcome of the story would have an adverse effect on my experience; however it seemed to raise the stakes for me. The film superbly blends elements of heist, hostage and action films with a bleak cynical look at world economics. As this is based on actual events I will be sailing a tad closer to spoiler content than I would usually like to. I thoroughly enjoyed the film and really want to delve into some finer plot points. So if that’s a problem for you, stop now, go see the film and come back, it’s ok I’ll wait here for you, I’ve got a book, I’ll be fine. 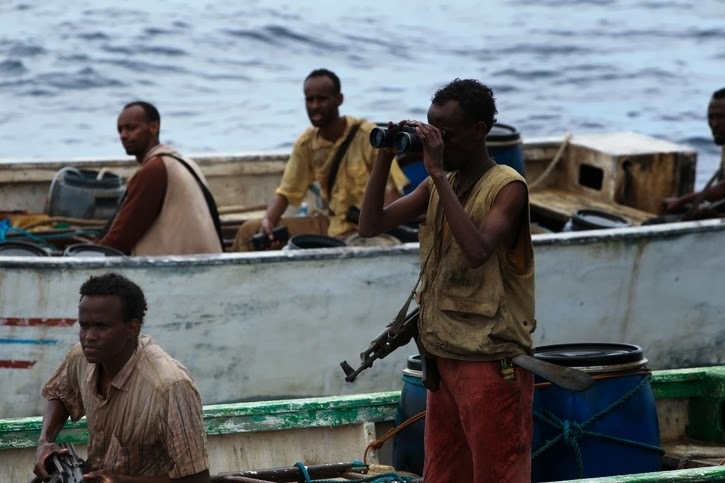 The plot of Captain Phillips is very straight-forward, Tom Hanks plays Captain Phillips who’s in charge of the Maersk Alabama an American cargo ship which whilst on route toMombasa, Kenya was hijacked by Somali Pirates. 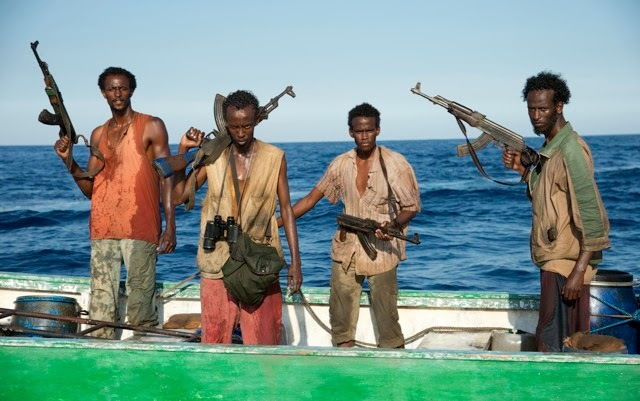 After a short interaction with the crew, the pirates took Captain Phillips hostage and fled in a small life boat for the Somali Coast. The race is then on between the homeward bound pirates and the might of the US Navy which culminates in a protracted and tragic stand-off. 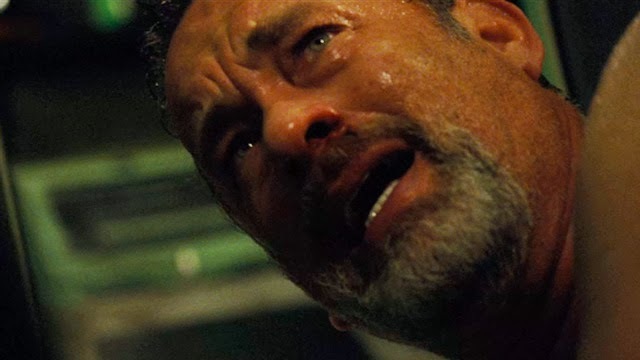 Tom Hanks’ performance is a near-career-best. He perfectly embodies the stoic leadership of a veteran Captain, whilst never going to his well of showy mannerisms. It’s the measured nature of his work that really impressed me. The character isn’t particularly likeable but is damn well respectable. At the other end of the casting spectrum the pirates in this film are all played by first time actors. Barkhad Abdi plays Muse the leader of the gang, Barkhad Abdirahman, Faysal Ahmed and Mahat M. Ali play the other pirates in what can only be described as a genius piece of casting, because they each brought a gritty sense of realism to the film since at times it’s hard to tell if they are nervous as pirates or because they’re opposite Hollywood royalty. Strangely more seasoned performers may not have been able to convey the same emotions in such a believable way. Tom Hanks is like the professional athlete on a team of amateurs, he makes them look better than they probably are and he can cover up their minor fumbles. Paul Greengrass once again employs his shaky-cam technique which gave the film a similar feel to that of his two Bourne Films. The shaky-cam conveys a sense of adrenaline fuelled anxiousness which is perfect given the subject matter. This effect is maintained throughout the film, which kept the tension levels simmering just beneath the boiling point. As I said earlier I knew how the story would end, but the situation seemed so helpless that I was never able to truly relax and this was due to how well it was presented. Greengrass manages to capture intimate moments between characters one second then jump to sweeping shots to establish the setting seamlessly, thus keeping the audience informed of what’s happening around the characters and never missing the all-important emotional beats. Hence why his films aren’t just action blockbusters, they have substance as well as a distinct and effective style. The trailer for this film had me slightly worried due to the dialogue shared between Muse and Captain Phillips in relation to his motivations for piracy. 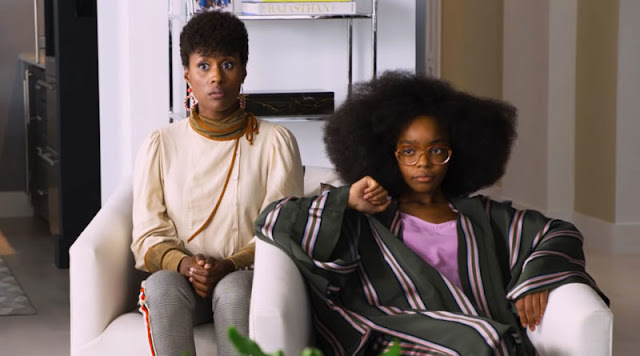 I feared that the film may take a granite-fist like approach to the issues, however it’s a superbly written screenplay, appropriately sparse enough yet still truly fleshes out the key characters. In fact the film does an excellent job at looking at the economic pressures the world over. The pirates are forced into a life of crime by demanding war lords, and with a scarcity of employment opportunities piracy makes sense. The film is sympathetic to pirate’s cause without ever condoning it. The crew on the cargo ships sail through dangerous waters, well aware of the risks involved, but they do so because there aren’t as many jobs in America. it seems that people the world over are being forced into roles which are a little more demanding, a little more time consuming, invading a little bit more of our free time, because big business is demanding it. No matter if its crime or legitimate business, we all have bosses and they’re never truly satisfied. 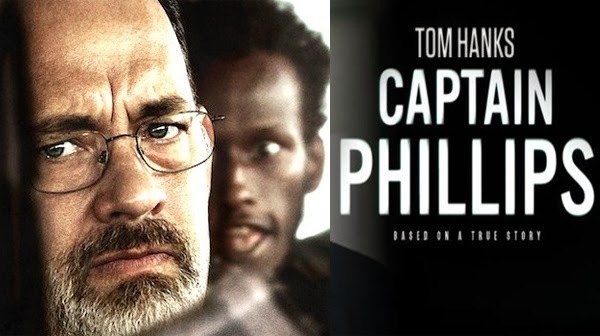 Captain Phillips is a sensational film which lingers with you long after its ended. The film boasts one of the most powerful final ten minutes of any film for the past few years. This is definitely one of the must-see-films of 2013. Captain Phillips is in cinemas from the 24th of October. If you see the film and agree or disagree with my thoughts feel free to drop me a line below.